This blouse took me a few weeks (maybe even a month) to finish. I could probably have finished it on a weekend if I would have persevered. 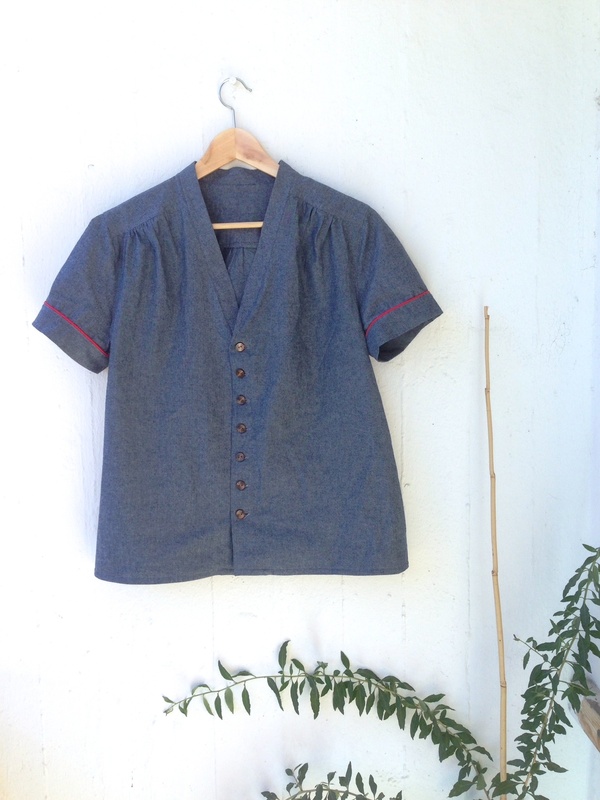 I made it from this Burda pattern in a lovely chambray fabric, it was in last months European Burda Style. The problem was mostly with the collar/V-neck part. I had a really hard time understanding the instructions, it might have something to do with the translation from German to Swedish. Luckily my Mom was coming to visit anyway so I got her expertise which helped a lot. After all the hard work I had put in I was just a bit disappointed when I finally put on the finished garment. I don’t know what I was expecting… maybe I was secretly wishing for a choir to come in and sing “Hallelujah”. Well, that didn’t happen, but I know have a blouse I can proudly say I made (if anyone ever asks). 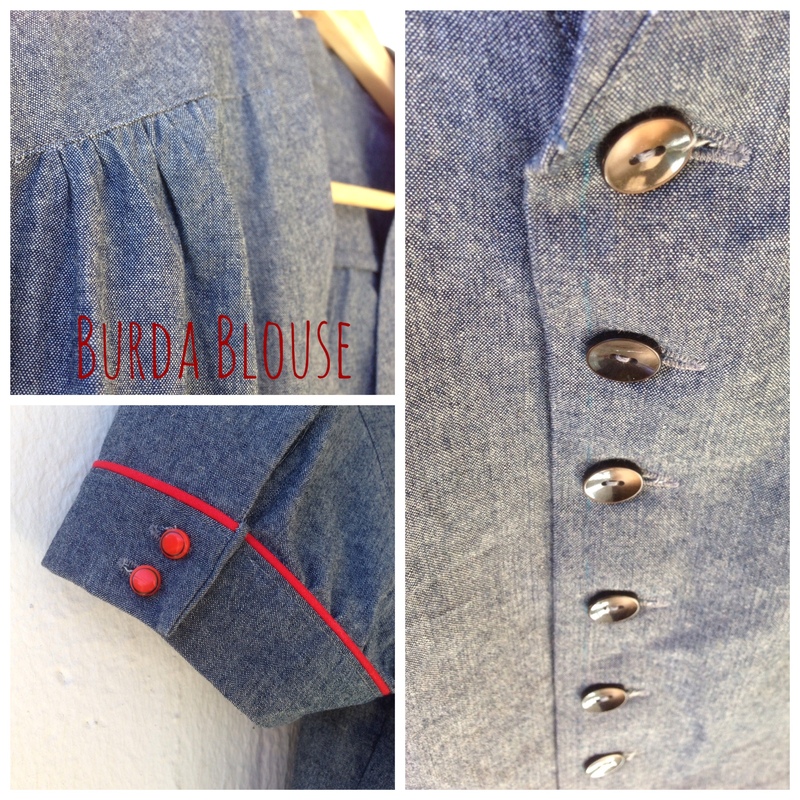 Categories: Burda, Home Sewn, LyllosMig, Sewing, Uncategorized | Tags: #131B, Burda 05/2014, Burda Style, Short Sleeve V Neck Blouse | Permalink. You did a great job! The instructions were not very good so I understand that it was hard. You now have a very nice blouse with lots of details that you made yourself, be proud! !